New approaches to tourism study demonstrate a notable `critical turn' - a shift in thought that emphasises interpretative and critical modes of tourism inquiry. The chapters in this volume reflect this emerging critical school of tourism studies and represent a coordinated effort of tourism scholars whose work engages innovative research methodologies. Since such work has been dispersed across a variety of tourism-related and other research fields, this book responds to a pressing need to consolidate recent advances in a single text. Adopting a broad definition of `criticality', the contributors seek to find `fresh' ways of theorising tourism by locating the phenomenon in its wider political, economic, cultural and social contexts. The collection addresses the power relations underpinning the production of academic knowledge; presents a range of qualitative data collection methods which confront the field's dominant (post)positivist approaches; foregrounds the emotional dynamics of research relations and explores the personal, the political and the situated nature of research journeys. The book has been divided into two parts, with the essays in the first part establishing a context-specific framework for engaging philosophical and theoretical debates in contemporary tourism enquiry. 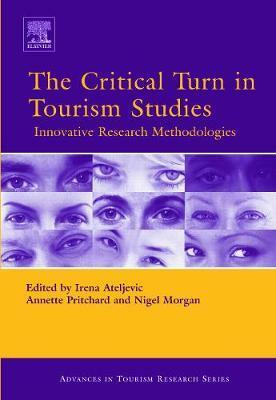 The second set of essays then present, discuss and critique specific methodologies, research techniques, methods of interpretation and writing strategies, all of which are in some sense illustrative of `critical' tourism research. Contributors range from postgraduate students to established academics and are drawn from both the geopolitical margins and the `powerbases' of the tourism academy. Their various relationships with the English-speaking academy thus range from relative `outsider' to well-positioned `insider' and as a result, their essays are reflective of a range of locations within the complexly spun web of academic power relations and social divisions. Pursuing the Past: using oral history to bring transparency to the research process. (Julia Trapp-Fallon); The Contribution of Biographical Research in Understanding Older Women's Leisure (Diane Sedgley); The Language(s) of the Tourist Experience: An Autoethnography of the Poetic Tourist (Chaim Noy); Re-peopling Tourism: A `Hot Approach' to Studying Thanatourist Experiences (Ria Dunkely); Processes of becoming: Academic journeys, moments and reflections (Stephen Doorne, Stephanie Hom Cary, Graham Brown, Jo-Anne Lester, Kathe Browne, Tomas Pernecky, Susana Curtin, Martine Abramovici, Nigel Morgan).